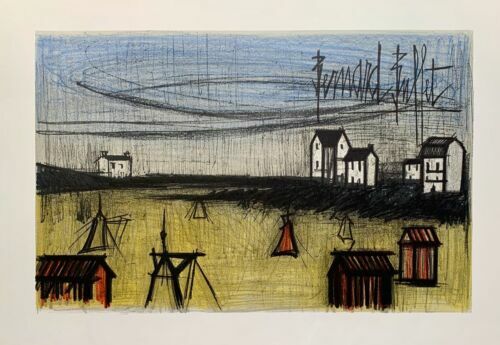 Vintage Bernard Buffet 55 Framed Litho print "Bords De Marne"
Bernard Buffet,Lithograph"Le Moulin",Hand Signed, 42/300, Arches, COA. 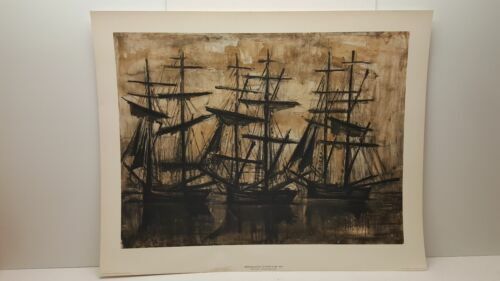 1950s French impressionist oil painting of Flowers - school of BERNARD BUFFET ?? 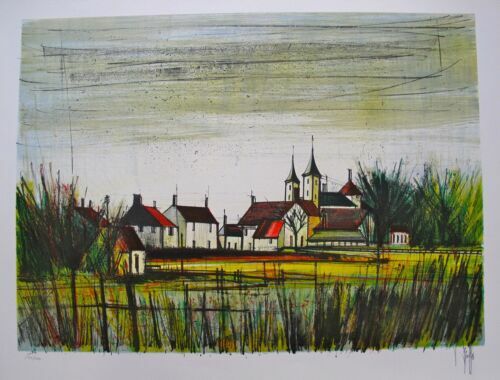 Vintage Small Print on Hardboard Concorde Square Paris France Bernard Buffet 5"
Bernard Buffet, Lithograph," PENCIL HAND SIGNED, 106/125, Arches, UNIQUE, 1968! 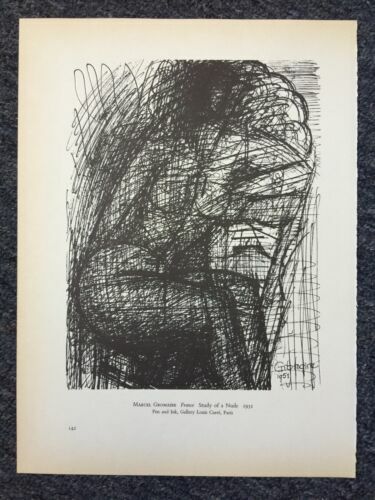 BERNARD BUFFET RARE Pencil Crayon SIGNED and NUMBERED! Flowers. Make an Offer! 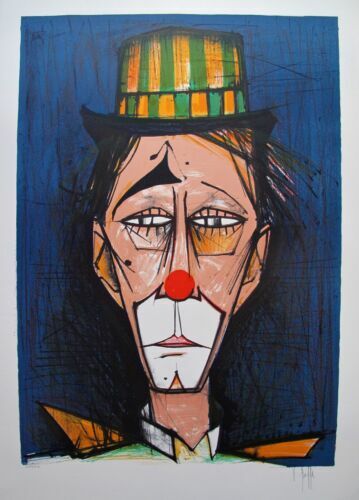 Bernard Buffet, Rooster, Rare Lithograph 1953 Make an Offer! 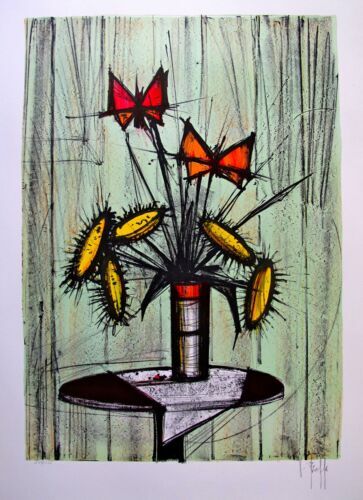 Flower By - Bernard Buffet: Original Lithograph "Certificate Of Authentication"